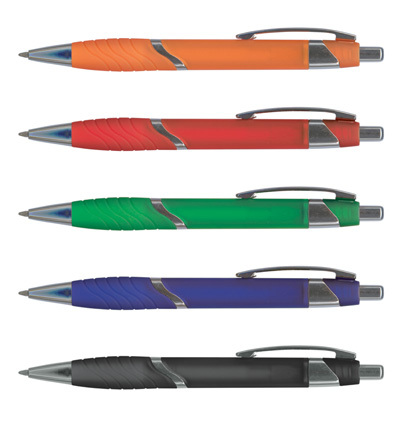 Features: Retractable plastic and metal ball pen with a frosted translucent barrel and soft touch rubber lacquered grip. Refill: Refill Type:Black ink Economy Large Volume refill with 2000 metres of writing ink. Blue, Red and Green ink is available for an additional charge. Blue and Black gel ink is available for an additional charge.